It’s high time to buy tickets to Orlando, USA, as on March 16-18, this sunny city will be hosting a huge e-Learning event that you just can’t miss. Learning Solutions Conference & Expo always receives a lot of industry experts, companies and professionals who are ready to share their experience and knowledge. 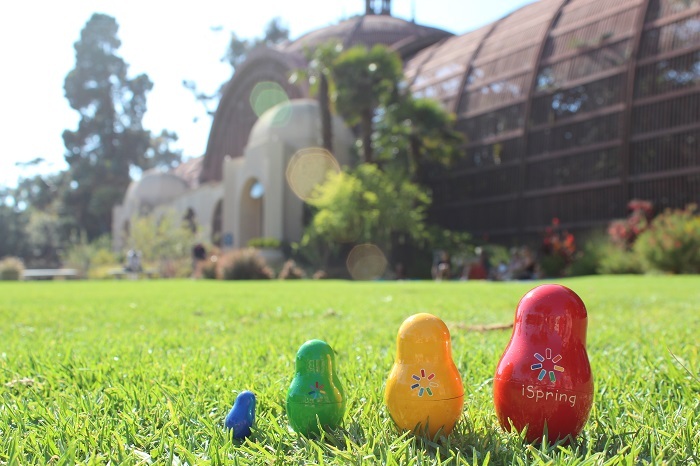 The iSpring team can’t wait to see you at booth #408: we’ll be demonstrating e-Learning software and courses, giving away gifts, answering your questions, and talking shop about e-Learning. 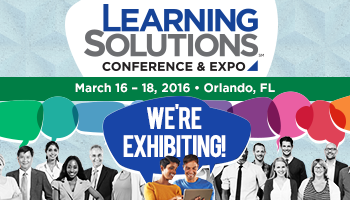 Learning Solutions Conference & Expo is a must-visit event for everyone who is curious about the latest e-Learning news and trends. Attendees can explore a wide range of presentations, discussions, and demonstrations on the best practices, hottest topics, and newest ideas in learning. What’s more, it’s a great opportunity to meet face to face with leading companies offering tools, technologies, content, products, and services that will provide solutions to all your learning needs. 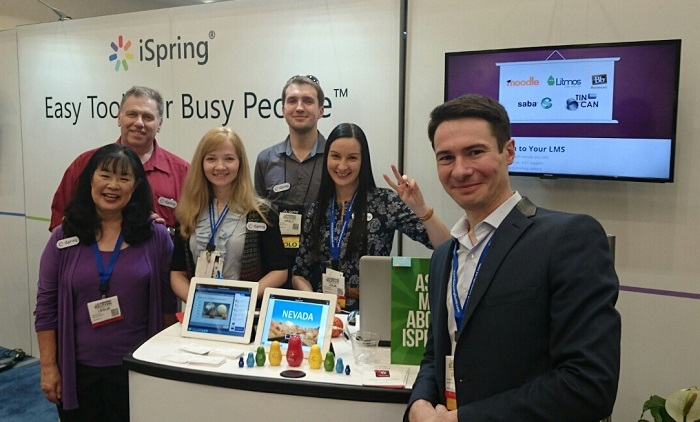 This time, iSpring users will be able to take part in a unique activity. It doesn’t matter if you’ve been using iSpring software for years now, or have got acquainted with it just recently, we invite you to share your first-hand experience. Leave us a video testimonial,* and you’ll get a free lifetime license for iSpring Suite 8. You’re more than welcome to attend these iSpring stage sessions that promise to be both fun and useful. 1. What You Build Is What You Get – Or is it? eLearning and mLearning Designers are experiencing a new challenge that mirrors an age-old challenge. In the 1980s, WYSIWYG (what you see is what you get) was a challenge for computer users who saw one thing on their computer monitors but saw very different results when they printed their work. Today, the new challenge for eLearning and mLearning Instructional Designers is WYBIWYG (what you build is what you get). What are the common elements that lead to WYBIWYG issues? What can you do to avoid them? Can you eliminate them? This presentation will help you understand how it happens, what to do to avoid it, and steps you can take to eliminate WYBIWYG issues entirely. Mark Simon has over 25 years of hands-on experience with design, development, and delivery of eLearning and instructor-led training. Mark is also an Adjunct Professor in the Instructional Design graduate program at UMass-Boston. He is a frequent contributor to a variety of professional publications and shares his experiences often at professional shows and conferences. There’s nothing like an election year to dive headfirst into a spirited debate, so iSpring friends Joe Ganci and Mark Simon will be doing exactly that. Joe will abandon political correctness to tell Mark exactly why free-form tools are infinitely better than PowerPoint tools, while Mark will campaign for PowerPoint users all over the world. Chances are that you’ve used one tool type or another – or perhaps you’ve used both – but do you really know the pros and cons of each? No matter what your political affiliation is, you don’t want to miss this one! 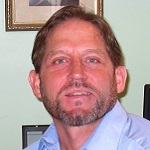 Joe is considered a guru for his expertise in eLearning development, and he consults with clients worldwide. His eLearning tool reviews appear each month in Learning Solutions Magazine, and he has been the recipient of several awards for his work in eLearning. Joe was awarded the Guild Master Award in 2013 for his accomplishments and contributions to the eLearning community. Even if you can’t make it to Learning Solutions, you can still ask Mark and Joe your questions. Simply post them on our Facebook page, and we’ll deliver them to the experts. The answers will appear on our page after the event. Stay tuned, as we’ll post all the fresh information on Learning Solutions there.